Ready for a lease-purchase that meets your long-term goals? Contractors and Company Drivers find their trucks and futures at Western Flyer Express. 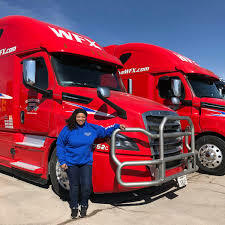 Western Flyer Express has grown from 4 trucks and reefers in 1996 to a fleet of over 600 tractors and trailers today. We pride ourselves on hiring qualified, professional and courteous Drivers, Contractors and Teams to get freight delivered on time throughout the 48. Are you looking for excellent equipment, a robust freight and operations team, and home time every 2-3 weeks? We may have a truck for you.